offering | Atkom infotech pvt. ltd. Methodology: We have extensive experience of using proven implementation methodology such as ValueSAP and Best Practices Implementations using Building Blocks. Vertical Industry Solutions: We provide services to cover multiple Industry Solutions. For SME, we service mySAP All In One and Best Practices solutions for various industries. Atkom Infotech offers end-to-end services in the following Oracle Enterprise Solutions portfolio, viz. Oracle EBS, Oracle Retail & Siebel CRM Suite. In a dynamic business environment, organizations worldwide are faced with challenges of ever-changing IT needs. Atkom Infotech brings right-fit solutions to help customers evaluate critical IT solutions, and ensure business value. With our multi-domain expertise, implementation methodology, & high emphasis on standards and processes; Atkom Infotech’s Oracle experts ensure on-time and on-budget delivery for customers. • Accelerators: Using Oracle Business Accelerators and Atkom Infotech’s pre-developed technical tools for data conversions & interfaces, helps to shorten deployment times and reduce the implementation cost. This also implies that customers get to see real system with their own data early in the project cycle, hence reducing anxiety and facilitate early change management and user training. • Business Value: Bing focused on business benefits from the ERP implementation, the project methodology and team is always aligned to deliver business value as envisioned from the technical solution. • Methodology: Defined methodology complete with templates, checklists, process flows. • Atkom Infotech offers RICEF development to standard Oracle EBS to meet the unique business requirements of customers. This includes custom Reports, Interfaces, Customizations, Extensions, Forms development using Oracle tool of Developer 2000, OAF, Discoverer, etc. • Using Oracle Tools, we undertake independent custom application development as per the needs of the customers. Using proven delivery methodology, deep domain expertise, and integration abilities, Atkom Infotech ensures that custom application delivers business value. In an ever-changing business environment and because of product lifecycle for any software, software Upgrade is indispensable. Apart from Support constraints, Upgrades typically help businesses with large benefits because of enhanced functionalities offered by latest versions. • Major Upgrades (like 11i to R12, 11.0.3 to 11i). • Minor Upgrades (for delta releases). • Experienced Team: Atkom Infotech’s team comprises Project Managers & Architects who has executed one of the 1st R12 upgrades around the globe..
• Proved Methodology for Upgrade. • One of the very few teams to have R12 upgrade experience. • Investment into newer release like R12. 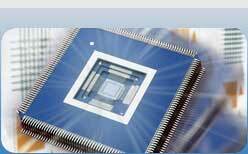 We have expertise in application development using Bar Coding Technologies. Our development activities involve generation of bar codes and its application in industries. Bar Coding can be effectively used in a wide variety of applications like:. We also undertake data entry projects as we feel data is the key aspect for any information processing. We also undertake specific/complete documentation jobs related to project and systems and On line help development using help authoring tools like Win Help Ver 4.0, HTML Help Ver 1.1, Robo Help Ver 4.0 etc.We ensure that our data entry and project/system documentation jobs undertaken are characterized by accurate and efficient services backed by in-time delivery. • Software Modules for inventory, payroll and accounting. • Our web development customised packages provide a comprehensive service solution including site design, content management, layout structure, colour schemes, scripting, marketing, interactive media, custom programming and integrated e-commerce. • Whether we are creating web sites for large corporates or first-time entrepreneurs, our commitment to develop compelling online presence remains the same. 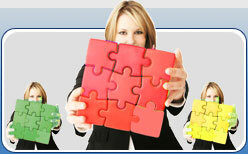 • As a part of end-to-end solutions, we offer complete integrated suite of e-business solutions. • We develop and refine coherent internet/e-business strategies that meet our client's needs and core business objectives. • Creating a high quality interactive web site for your company is only the beginning of what we offer. • We provide a wide range of support services to ensure that your website maintains it's leading edge looks, appeal and technology. • Depending on the client's requirement we develop a customised maintenance package as a cost-effective measure to keep the site up-to-date. • Think your existing website is not upto the mark? • Get it revamped/redesigned from us! • Pay Slip – A Complete Payroll Management System software. • TRY IT – R&D Software designed to cater to Research and Development Activities of Pharmaceutical and Chemical companies. We provide our software consultants to companies requiring technical expertise for Project Implementation on a Contract Basis. The duration for the same range from three months to one year or could be extended on companies request. We believe in 3R's - Right people at the right time for the Right job. We provide you key staffers like Programmers, Analysts, Project Leaders, Networking and Database Administrators. We offer tailor-made contract schedules and personnel that match your exact needs. Our recruitment cycle ensures that all our consultants have the required qualification, technical expertise and aptitude as well as possess good communication and inter personal skills. 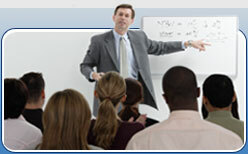 We provide consultancy regarding implementation of Information Systems in a variety of areas. These can be decisions regarding introduction of Information Technology in your organization or organizational specific areas. We conduct feasibility study for systems development projects, design functional specifications for projects according to your specific requirements, suggestions on optimum hardware and software solution and manage the project execution. A successful e-business strategy requires integration of a class A back office. While a Web front and may bring in new order success in her e-business world requires 100% inventory accuracyand visibilty, global financial management and strong operational and planning capabilities.